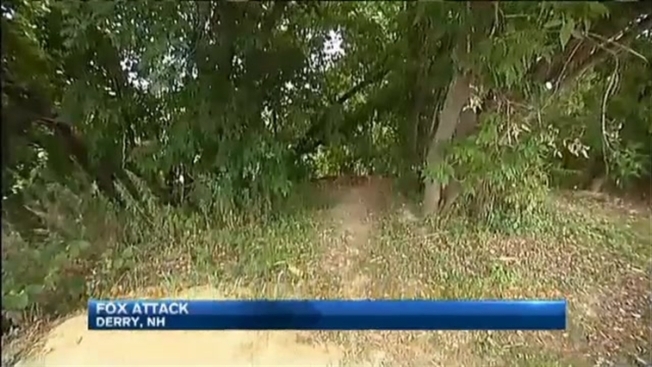 A night out at the little league field went terribly wrong for a little girl and her father when a fox, which was later confirmed to be rabid, attacked them in Derry, New Hampshire. The 10-year-old was attacked by the gray fox Wednesday evening. Her father fought it off, but not before getting bit himself. Brian DiPerri says there were about 25 kids and adults at O'Hara Field getting little league uniforms at about 7:45 p.m. when the animal came out from the woods and went after his daughter. "They turned around and came back screaming and yelling something about a fox," DiPerri said. He says the fox was chasing the girls and then started attacking. "The fox latched onto my daughter, I didn't know it was my daughter at the time, and my assistant coach kicked the fox loose," DiPerri explained. "The fox headed back to the woods and I followed it to make sure it got away from the kids, and at that point it turned on both of us." The animal bit DiPerri, who was police say was legally carrying a weapon. He pulled out his gun and shot the fox. Derry Police Captain Vern Thomas says everyone at the field was lucky that DiPerri was prepared to deal with such an unexpected situation. "Relieved that the animal was dispatched right there," Thomas said. "The injuries could have been a lot worse." Thursday, officials confirmed that the fox had tested positive for rabies. DiPerri showed necn some scratches and a cut on his leg. He says his daughter only suffered one bite on her ankle. He says he's thankful he was able to take action before anyone else was hurt. "It's a comforting feeling to know you can handle a situation if you have to, it's not something you ever want to do," DiPerri said. "We live with wildlife, it's their environment, we just live in it, so just be cautious." DiPerri and his daughter started their first round of rabies shots Wednesday night. By Thursday, they say they were feeling just fine. Police say if you see an animal acting strangely, stay away and give them a call.